If it were not for poor judgement, Roosevelt Skerrit would have had no judgement at all. There goes a man who loves controversy and scandal .There goes a man who dislikes opposition and must have things his way or he goes berserk and retaliates in a manner that is completely inappropriate and infantile. I remember distinctly his derogatory remarks about Gerry Brisbane, Judith Pestaina and the U.S Embassy employees. How I long for the day when we shall have a leader who is honest, courteous, diplomatic, patriotic, dignified and humble. Lacking these qualities, the Prime Minister has brought the office of the President down to his level. I would rather not comment on Mr. Skerrit's first choice for President as enough has already been said, except to say ''preposterous''. The second choice, indeed a fine lady, but why did she not decline instantly rather than allowing ''personal issues'' to surface? The final choice, now President - our forefathers must be shivering. The individual chosen has a history of dividing the people politically .We remember the 1979 '' stone overthrow''. We remember the call to boycott Brizee's Mart. We remember the role he played on Kairi radio defending Skerrit at all cost.How can such a man unite the people? A people who have been more divided than ever since the advent of ''Skerronomics''. He would have to undergo a complete turnaround which does not happen overnight. Whether the nomination was constitutional or not is not my issue. Some legal entity like the Bar Association should have intervened and clarified the legal aspect. This to my mind would have been the appropriate procedure rather than the uncertainty and controversy which followed and we are now faced with. My issue is the incumbent is a poor choice. He would be better suited defending the Prime Minister and his never ending scandals, controversies and bringing down individuals and businesses who oppose him. Hunting them down like Talibans. The President should be a Statesman, like Mr. Seignoret, Mr. Sorhaindo and Mr. Shaw; someone whom the people can rely on to be balanced and not politically motivated or influenced by the Prime Minister. 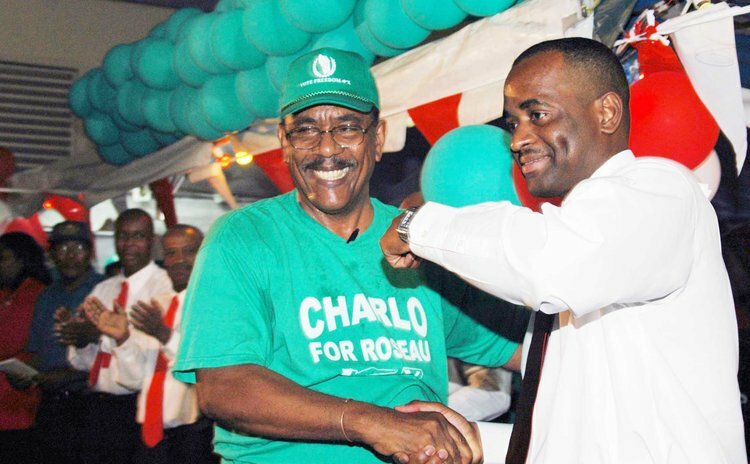 Charles Savarin is no more than Skerrit's messenger boy who will do as he is told. There already exists a situation where all our independent institutions appear to be politically influenced and undermined by this administration. Even the constitution and the courts do not appear to be able to stand in their way and now the Presidency has been added. Roosevelt Skerrit is forever creating problems, pretends that he was unaware of the problem and miraculously comes up with a solution to boost his ego, publicity and popularity; so he comes out smelling like a rose and looking like a hero sent from above in the eyes of his blind supporters. His pronouncement that he was sent by God to help poor people borders on blasphemy. We hope the President can convince him to explain to the people what happened to the Petro Caribe funds. I beg your pardon, that is not part of his duties. His primary duty still remains to protect the Prime Minister at all costs; the people and the constitution are secondary. It is hard to say definitely what our forefathers would think of the present day administration and the Presidency, but a logical deduction based on all that has happened leads one to believe they would be horrified. We dream of "One Dominica, One People" but unity is not possible under an Administration that leans towards dictatorship and the degradation of all who oppose. Life goes on, we have a "President" but the controversy and uncertainty surrounding the saga will live with us forever.